The Keswick area of Albemarle County is East of the City. Glenmore and Keswick Hall are both Keswick area. Both are gated communities with high end homes and golf courses. 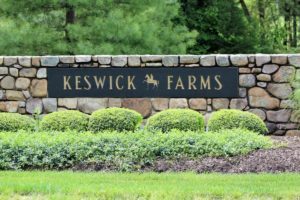 The Keswick area is home to many large farms and equestrian centers. The rolling hills along Rt 22 and Rt 231 are lined with large estate properties that have a backdrop of the Southwest mountains. Keswick is home to Castle Hill Cidery. Originally built in 1764, Castle Hill Cider is a Virginia cidery and premiere venue for Central Virginia destination weddings and events. Pastoral fields, meadows, and the Blue Ridge Mountains beyond provide stunning backdrops for incredible wedding pictures, making it one of the most desired wedding venues in the Charlottesville area.